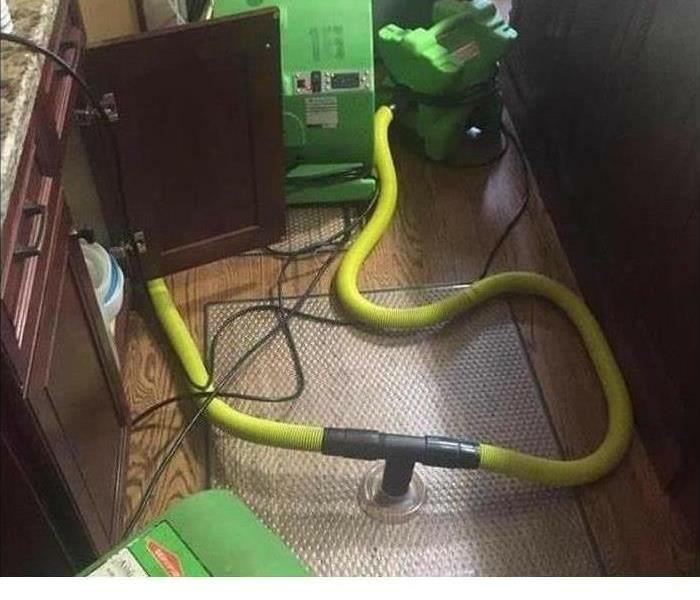 Our clients and customers appreciate the awesome services provided by SERVPRO of Maury/Giles Counties from start to finish. Team Wesley is the driving force behind this success story. "Top Dog" Penny keeps a sharp eye to ensure that Tim and Natasha make their customers feel "Like it never even happened." 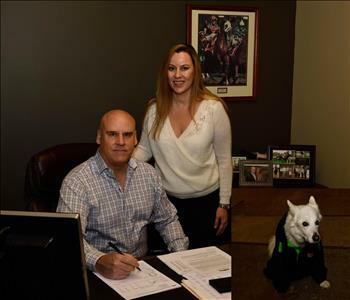 Tim is one of our proud owners of SERVPRO of Maury/Giles Counties. He takes pride in operating an exceptional franchise. 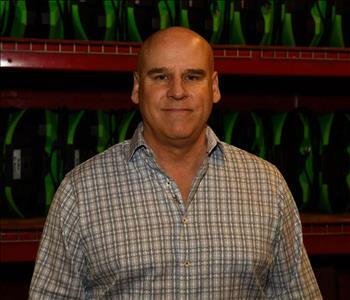 Tim assures that each service meets the full expectations of our customers. Natasha is a proud owner of SERVPRO of Maury/Giles. She endeavors to provide leadership for our team, both in the office and the field. She aims to offer our customers the best service possible, meeting and beating their expectations. Penny has a serious look on her face as she is ready to leave the SERVPRO of Maury/Giles Counties office to inspect the latest restoration job. 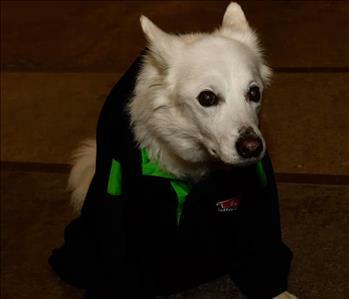 She is waiting on her two partners, Tim and Natasha, who are still putting on their new SERVPRO jackets. This impressive Team from SERVPRO of Maury / Giles Counties is proudly posing in front of our new Columbia facility. Now we can serve you better than ever. The local communities and towns have come to know this group of talented restorers and office staff from community events we sponsor and support along with the cleanup and restoration services we provide to our neighbors. Penny, our mascot and Boss, thinks it is time to get back to work. Jennifer Rochelle is our awesome Office Manager at SERVPRO of Maury / Giles Counties. She has been a key player in our team since 2013. Jennifer and her husband are high school sweethearts and have three children. Their oldest is matriculating at Lipscomb University in Nashville in pursuit of a degree in Engineering. Soccer (not football) is a passion for their entire family. Jennifer's husband and children all play soccer for school and various other teams. Jennifer and her husband are members of the Manchester United (Man U) Fans of Middle Tennessee and watch games with their rowdy group right here in Franklin, TN. Naomi is an Administrative Assistant in our office here at SERVPRO of Maury / Giles Counties. She joined our office staff and team in June of 2017 and helps keeping things running smoothly. Naomi lives in Columbia, TN and has 3 BEAUTIFUL girls. She loves watching hockey and football. 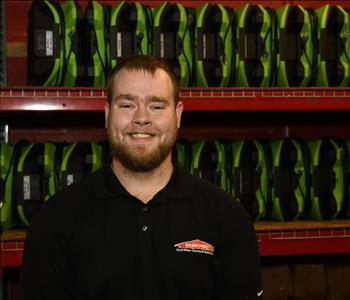 Eddie Oliver is our Warehouse Manager as well as a Crew Chief specializing in our fire jobs. He has several years of experience and has the following certifications from the Institute of Inspection Cleaning and Restoration Certification (IICRC): Water Damage Restoration, Fire & Smoke Restoration and Odor Control. Kendra Franklin is an administrative assistant at SERVPRO of Maury / Giles Counties. Kendra joined our team in August of 2017 when she relocated from North Dakota to Tennessee. She now resides in Franklin with husband Kody and her 2 fur babies, Mia and Abel. 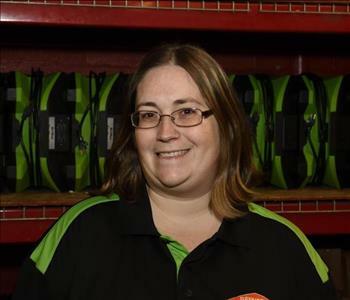 Kendra was a technician for SERVPRO in Illinois from 2011 to 2013 and gained invaluable experience in the cleaning and restoration requirements for this industry. She is a great asset to our office staff. Kendra has six nieces who are the light of her life. She says that they are the light of her life and she spends as much free time as she can with them. Dwayne is our Production Manager at SERVPRO of Maury / Giles Counties. 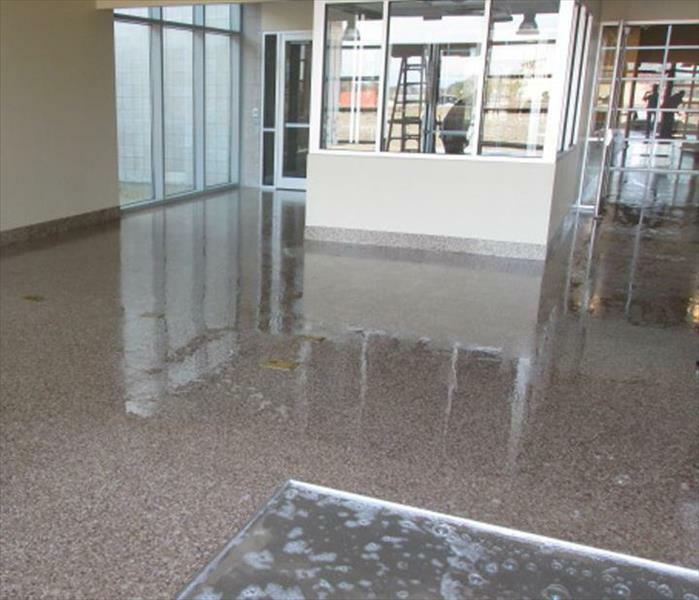 His experience dates from 2011 and has several certifications from the Institute of Inspection Cleaning and Restoration Certification (IICRC): Applied Structural Drying and Water Removal Technician. Dwayne is also certified in Lead Paint (RRRP) and Asbestos. He enjoys fishing and hunting and lives in Manchester, TN. Jason Corlew is the Project Manager for SERVPRO of Maury / Giles Counties. Jason spearheads the repairs and any remodeling or reconstruction work for our customers. He resides in Dickson, TN with his family and enjoys fishing and hunting when he fines the time. 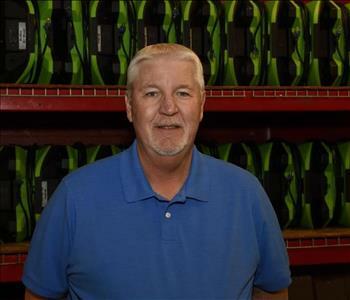 Terry is a Sales & Marketing Rep at SERVPRO of Maury / Giles Counties. His aim is to increase our presence in our local residential and commercial markets. Reaching out to trade groups, charities, and networking with the BBB are just some of the ways he is generating new business for us. And great help for our neighbors and lives nearby in Spring Hill. Contact Terry at (931) 388-4248 for help. 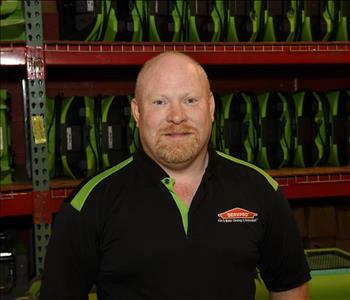 Scott is our Production Manager at SERVPRO of Maury / Giles Counties and can contacted at (931) 388-4248. He is standing in front of some of our industry-leading equipment, and Scott knows he is supported by a highly trained crew. He deserves some credit for this since he helps train, supervise job sites when needed, and keeps production on schedule and within budget. Scott is also a leader of our Large Loss Team and assuring that our customers receive the best service possible. Scott is closeby in Spring Hill, TN. Colin is a Project Manager at SERVPRO of Maury / Giles Counties, and he supervises small residential projects to large commercial ones. Our crews, well-trained with his assistance, can clean up and restore any challenge before them. Because he can track a project from initial contact to final walk-through, the situation is always under control. Keeping schedules, maintaining budgets and high crew esprit de corps are some of Colin's talents. Colin currently lives in Nashville. 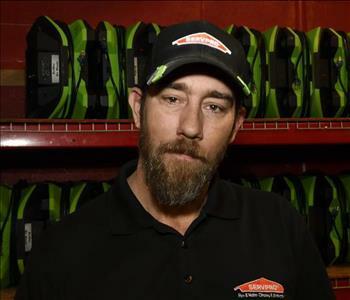 Rick is a Crew Chief at SERVPRO of Maury / Giles Counties. He communicates well with our customers and with our crew to expedite the task at hand. Rick helps train, leads by example, and works alongside our technicians to ensure that our customers' expectations are met. Our customers are always pleased when we leave their homes after another successful restoration service. Thanks in part to Rich who can then go home to Lawrenceburg. 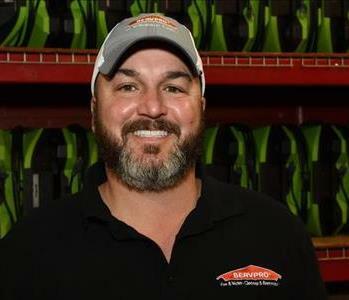 Randy is a Production Manager at SERVPRO of Maury / Giles Counties, and his experience dates back from 2005 in this industry. He works hard and also plays hard. He enjoys playing tennis, shooting a round of golf, hunting, and fishing. Randy lives in Pulaski, TN. 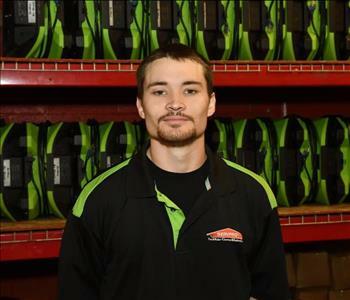 Kaleb is a Crew Chief at SERVPRO of Maury / Giles Counties. He arrives each morning from his home in Manchester ready to work. His team always makes our customers smile as they relieve their stress and perform the task at hand, always in a professional manner. As a crew chief, Kaleb is exceptional, and we are glad to have him on our team. 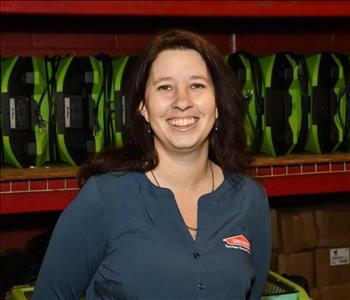 Holly is a Crew Chief at SERVPRO of Maury / Giles Counties and has many years of experience in our industry. She leads by example. She is also Bio-Hazard certified and loves outdoor activities. Holly resides in Pulaski, TN. 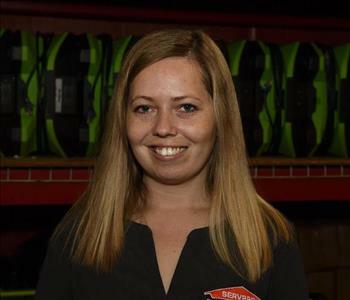 Desysi is an SMR Sales and Marketing Rep for SERVPRO of Maury / Giles Counties and strives to expand our brand to the surrounding communities. She is living in Columbia, TN and finds time to watch Formula 1 Racing, dove hunting, and singing in the rain. 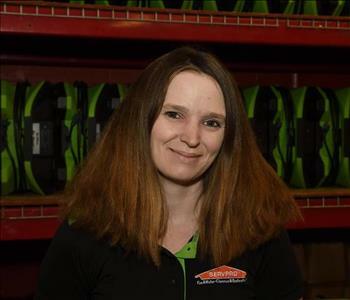 Beth is a Production Technician here at SERVPRO of Maury / Giles Counties. She assists with fire & smoke and water damage clean-up and restoration treatments. She helps with content cleaning to restore personal possessions and treasures of our clients to preloss condition. Beth lives nearby in Pulaski, TN. 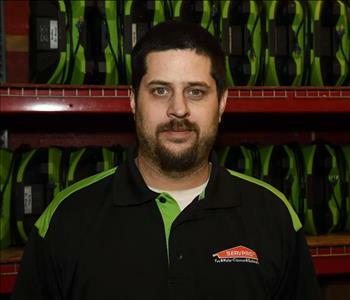 Roney is a Production Technician at SERVPRO of Maury / Giles Counties, and he resides in Columbia, TN. He aims to meet all his tasks quickly and efficiently. Our customers are always pleased with the restoration of their homes because of his excellent skills, and work ethic leaves it "Like it never even happened. Roney knows how to get the job done. Justice, who lives in Prospect, is a Production Technician at SERVPRO of Maury / Giles Counties. We are fortunate to have such a hardworking team member. He goes the extra mile to ensure our customers are pleased with their restored property after a water, mold, or fire & smoke damaging event to their home or business. Madison resides in Prospect, TN and is a Production Technician at SERVPRO of Maury / Giles Counties. She comes to work each day, as she did when she was in the military. Madison claims to like animals more than people, though she gets along fine with our customers. 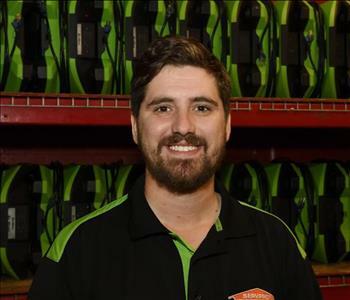 Logan is a Production Technician at SERVPRO of Maury / Giles Counties and arrives at each new location, ready to work. He leaves the workplace neat and clean. He likes hunting and hails from Pulaski, TN. 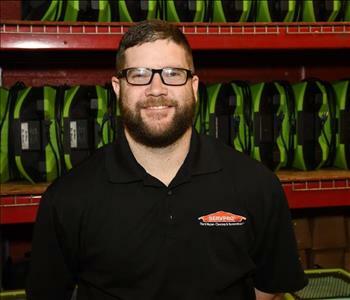 Ethan is a Production Technician at SERVPRO of Maury / Giles Counties and works hard and well with our crews and communicates well with our customers. 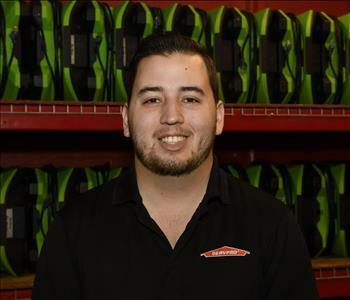 Ethan is a car enthusiast and resides in Williamsburg, TN.